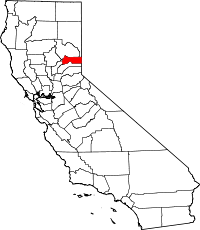 Sierra County is a county in the U.S. state of California. As of the 2010 census, the population was 3,240 making it California's second-least populous county. The county seat is Downieville, and the only incorporated city is Loyalton. The county is in the Sierra Nevada, northeast of Sacramento on the border with Nevada. Sierra County was founded in 1852. The county derives its name from the Sierra Nevada. The county has a total area of 962 square miles (2,490 km2). ↑ "Board of Supervisors". County of Sierra. Retrieved November 28, 2016. ↑ 2.0 2.1 "State & County QuickFacts". United States Census Bureau. Retrieved April 6, 2016. 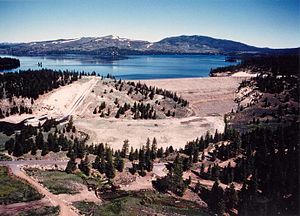 Wikimedia Commons has media related to Sierra County, California. This page was last changed on 17 September 2018, at 16:04.